New developments in self-healing technology have been pioneered by Prof Nancy Sottos and her team at the University of Illinois Urbana-Champaign, involving the impregnation of plastics with a fine network of channels, each less than 100 millionths of a metre in diameter, that can be filled with liquid resins. These "micro-vascular" networks penetrate the material like an animal's circulation system, supplying healing agent to all areas, ready to be released whenever and wherever a crack appears. Limitations still blight this technology however, as the healing process relies on the slow wicking action and diffusion of the healing agent into a crack. 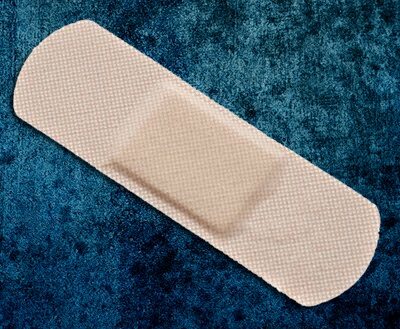 The researchers have therefore taken another lesson from biology to improve on the self-healing material's performance. "In a biological system, fluids are pumping and flowing," said Prof Sottos, so they have devised a way to actively pump fluids into their micro-vascular networks. Syringes on the outside of the material put healing fluids under pressure so that when a crack appears, a constant pressure drives the fluid into the cracks. 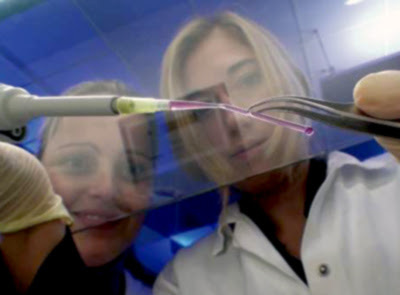 In the experiments that Prof Sottos' team carried out, two parallel channels are created in a plastic and pumped with a liquid resin and a hardening chemical that triggers the resin to solidify. "Micro-capsule technology will enable damaged openings around 50-100 millionths of a metre to be filled, whereas pumping healing agents through a micro-vascular network can fill major cracks up to a millimetre across," said Prof Sottos. With a glossy 7-inch colour touch screen and a dual-core processor, the Kindle Fire, a new mobile device introduced by Amazon, sure looks like a tablet, and one not so different from the Apple iPad. But Jeffrey Bezos, Amazon's founder and chief executive, has another word for it. "I think of it as a service," he said in an interview on Wednesday after the launch. "Part of the Kindle Fire is of course the hardware, but really, it's the software, the content; it's the seamless integration of those things." Amazon is counting on the its online warehouse of more than 18 million e-books, songs, movies and television shows, as well as access to a selection of Android applications, to help it beat competitors like the iPad and the Nook from the bookstore chain Barnes & Noble. 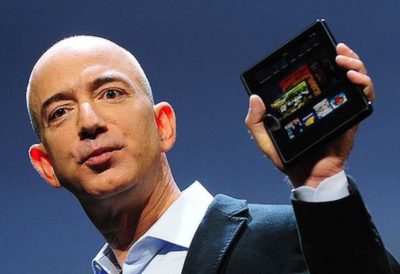 The other advantage Bezos is counting on is price: The Fire will sell for $199, while the cheapest iPad sells for $499. Amazon began taking orders for the Fire on its website on Wednesday; it will start shipping them November 15, but only to customers in the United States. Amazon custom-built the Fire's mobile web browser, called Amazon Silk, so that it loads media-rich web pages faster by shifting some of the work onto Amazon's cloud computing engine, called EC2. The Kindle Fire's 8GB of memory is capable of storing 80 apps and either 10 movies, 800 songs or 6000 books. The tablet also includes a free cloud-based storage system, meaning that no syncing with cables is necessary. "Glitch is a web-based massively-multiplayer game which takes place inside the minds of eleven peculiarly imaginative Giants. You choose how to grow and shape the world: building and developing, learning new skills, collaborating or competing with everyone else in one enormous, ever-changing, persistent world." Here's a collection of NASA sounds from historic spaceflights and current missions. 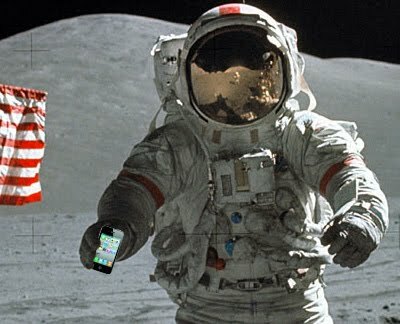 You can hear the roar of a space shuttle launch or Neil Armstrong's "One small step for [a] man, one giant leap for mankind" every time you get a phone call. Or, you can hear the memorable words "Houston, we've had a problem," every time you make an error on your computer. We have included both MP3 and M4R (iPhone) sound files to download. 3D printing technology has been increasingly used in numerous industries, ranging from creating clothes, architectural models and even chocolate treats. But this time, Dr Tovar's team had a much more challenging printing mission. To print something as small and complex as a blood vessel, the scientists combined the 3D printing technology with two-photon polymerisation - shining intense laser beams onto the material to stimulate the molecules in a very small focus point. The material then becomes an elastic solid, allowing the researchers to create highly precise and elastic structures that would be able to interact with a human body's natural tissue. So that the synthetic tubes do not get rejected by the living organism, their walls are coated with modified biomolecules. 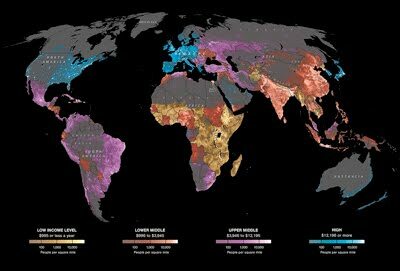 National Geographic have published an attractive set of infographics about our planet's human population. Chris Turner, an engineer at EADS Innovation Works near Bristol, England, twists a lever on a boxy black machine, and a porthole opens to reveal a dark cavity with a floor covered in gray powder. An invisible beam sweeps across the powder, and sparks fly. The box is an additive-layer manufacturing machine, sometimes known as a 3D printer, and it is making a small part for an Airbus A380 airliner. 3D printers can make complex shapes that can't be manufactured with conventional techniques. Until recently, however, they couldn't print strong, durable objects. The machine Turner is using can make intricate forms out of high-grade metal, an advance that has allowed researchers to apply the design possibilities of 3D printing to mechanical parts. The printers use software that works out where the parts need to bear loads and places material just in those areas, halving the weight of the complete part without sacrificing strength. That saves energy, metal, and money. The complex, curving forms that result couldn't be cast in a mold or carved out of a larger block even with the most advanced computer-controlled tools, but they can be printed in a succession of layers tens of micrometers thick. A new watercraft is giving wealthy adventure-seekers a taste of what it’s like to zip through the water like a killer whale. Innerspace's Seabreacher Y vessel - which resembles a killer whale and is similar in size and dimension - is part submarine, part speedboat and can even leap out of the water. This is the nearest thing to what my previous blog was talking about, and it (allegedly) works with all the major smartphone operating systems. The problem is, it's not available yet, with the official unveiling happening at the ARM Technology Conference, Santa Clara, October 25 – 27 2011. If you're willing to take a risk, you can pre-order it, with prices starting at €250 (but you can spend up to €15,000 if you require the white gold and diamonds model). Chances are, you don't wear a watch and haven't for quite some time. Meanwhile, your smartphone is shoved in a pocket, briefcase, or purse, and all your SMSs, phone calls, Twitter updates, and Facebook statuses are sitting in the fabric-lined darkness. Wouldn't it be, erm... handy to have all that viewable on your wrist? 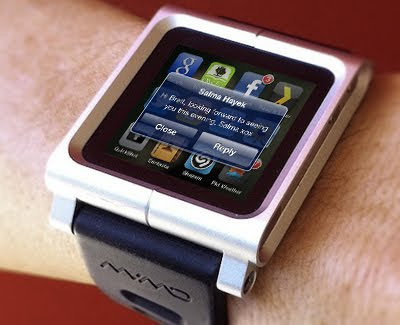 Apple's touchscreen iPod Nano was an unexpected hit as a watch, spawning a large industry in peripheral watch straps. But the existing Nano doesn't have any connectivity, and while it does run apps, they're all proprietary and can't be changed. 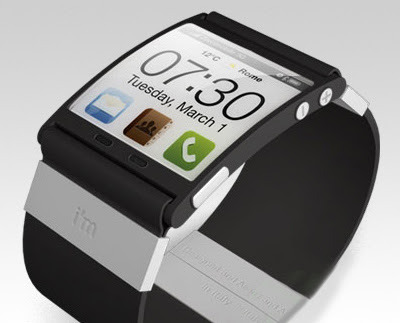 It's possible Apple is planning something novel with the device to turn it into a full-fledged wrist computer. The first clue is the incorporation of Bluetooth 4.0 in newer Apple gear. The standard lowers power consumption and offers simpler 'pairing' between devices. The always-accessible nature of a smartwatch could appeal to a generation who're used to 'checking in' on Foursquare everywhere they go, as well as basic status reading and updating on Facebook. And all those rumours of NFC payments get even more interesting if you could pay by simply waving your wrist over a sensor pad, with all the NFC circuits in the watch and its wristband, and all the hardware handshaking - including store loyalty cards and in-store downloaded ads - happening on the phone, securely in your pocket. Doctors removed a billion of his T-cells — a type of white blood cell that fights viruses and tumors — and gave them new genes that would program the cells to attack his cancer. Then the altered cells were dripped back into Mr. Ludwig’s veins. At first, nothing happened. But after 10 days he began shaking with chills. His temperature shot up. His blood pressure shot down. He became so ill that doctors moved him into intensive care and warned that he might die. His family gathered at the hospital, fearing the worst. 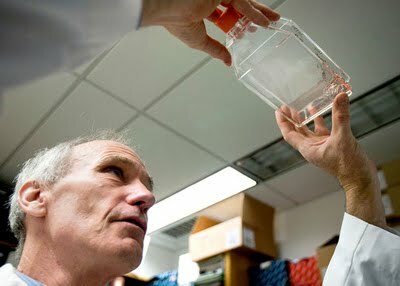 Mr. Ludwig’s doctors have not claimed that he is cured — it is too soon to tell — nor have they declared victory over leukemia on the basis of this experiment, which involved only three patients. The research, they say, has far to go; the treatment is still experimental, not available outside of studies. 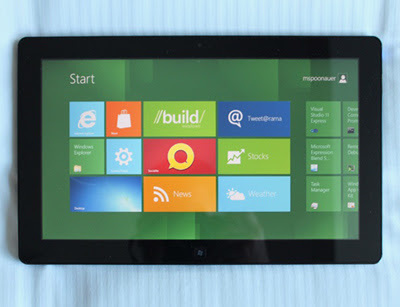 Developers attending Microsoft's BUILD conference will go home with a brand new Windows 8 tablet from Samsung. And it's not half bad. The fondleslab is rather curiously named the Samsung Windows 8 Developer Preview PC – no mention of the word tablet – and it's unlikely to see the light of day as a commercial product. But it provides some interesting insights into what kind of tabler Microsoft would like to see people using. In hardware terms, this tablet beats anything else on the market for sheer grunt. The system ignores wimpier Atom or Tegra processors in favour of a second generation Intel Core i5 processor, and it includes 4GB of DDR3 RAM and a 64GB SSD hard drive. The 11.6-inch Super PLS 1366-by-768 display looks as good as - if not better than - anything else on the market, and it accepts input from either the finger or the pen. The rub is that the unit weighs in at around two pounds, which makes it difficult to hold with one hand. It’s likely that this level of hardware would make the device the most expensive tablet on the market - and battery life would be an issue too. But this machine is meant for developers to debug the applications they'll be writing for Windows 8, so there has to be a good level of power. The tablet comes with a universal extensible firmware interface (UEFI) that provides a quick boot up - around five seconds, in limited tests – and generally, we were impressed with how easy it is to use the device. The touch interface felt much more precise than what you get on an equivalent Apple or Android fondleslab. Fingers are generally good enough to hit the icon you want, but the pen is needed for finer control. The Metro interface works well, with smooth side-to-side scrolling and an excellent virtual keyboard. Both sound and video playback are good, and the dual microphones would be handy for running voice recognition software. Introducing the perfect solution for memory expansion via a USB Flash Drive. The small accessory is a USB memory stick which sports a universal USB plug at one end while on the other sporting an Apple 30-Pin connector. It uses a free downloadable App for file management. The USB connector means users don't have to carry a separate USB stick. 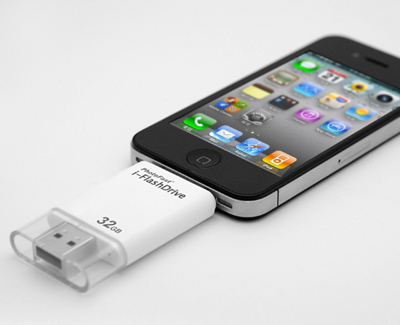 The PhotoFast i-FlashDrive is compatible with both Mac, Windows, Linux and all iOS powered devices. The i-FlashDrive is available with 8GB, 16GB and 32GB. 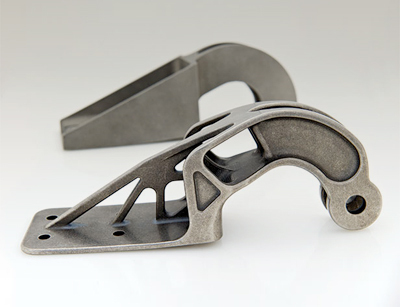 Typically, 3-D printers are discussed in light of the efficiencies they bring to industrial design and fabrication. They will soon help chefs create foods that can’t be made by hand if Cornell Creative Machines Lab, or their peers in the industry, can make them accessible. 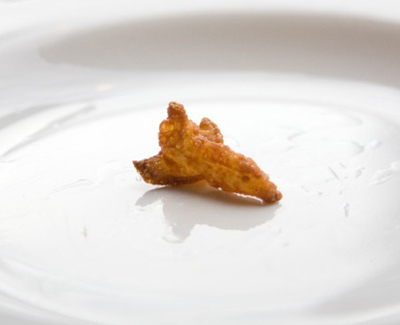 The newest 3-D food printer, now being honed at CCML, can produce: tiny space shuttle-shaped scallop nuggets (image above); and cakes or cookies that, when you slice into them, reveal a special message buried within, like a wedding date, initials (image below) or a corporate logo. They can also make a solid hamburger patty, with liquid layers of ketchup and mustard, or a hamburger substitute that’s made from vegan or raw foods. The CCML food printers require edible inks and electronic blueprints called FabApps. This machine prints food using multiple cartridges, going line by line until the desired shape is extruded. "The electronic blueprint specifies exactly which materials go where - it is essentially a blueprint of the food item," says Hod Lipson, the head of the lab. The head of the project at CCML, Jeffrey Ian Lipton, has developed a new printing technique that allows the printer to change the texture of the food being printed. Called stochastic printing or squiggle printing, the food buckles and coils as it comes out of the syringe instead of falling in a straight line. This results in very porous structures whose absorbent quality can be completely controlled. Using corn masa dough, the lab team along with Chef David Arnold printed a new form of corn chip in the shape of a flower that could be deep fried evenly. "If it were solid you would burn the outside before the inside was fried," says Lipton. "By making it porous we can deep fry the whole thing at the same time. Therefore we can make much larger objects to deep fry." Tubik draws on the practical yet pleasing design of Citroen's Type H or “TUB” van from the late 1930s; a half-million-seller that the French firm produced over 34 years. But, Tubik is all about delivering human passengers in refreshed style. Inside the Tubik’s 4.80m long x 2.08m wide x 2.05m tall footprint-space is a “lounge-style cocoon dedicated to comfort and relaxation” with space for up to nine passengers and luggage, and “modular seats designed to be arranged in many different ways; semi-reclined, face-to-face, etc.” And now you’re sitting comfortably there’s a “giant semi-circular screen and high-definition surround sound” to keep you and your buddies happy. And it gets even better with “felt seats, silken backrests and door panels, and a leather floor”, as well as “ambient lighting in the cabin highlighting the colours and materials.” It sounds like this lounge could easily turn into a snoozer’s paradise with so much softness to nap on! The driver is also well-looked after reclining in a black full-grain leather seat; once they’ve passed the fingerprint ID system, that is. There’s also a head-up display screen, mounted immediately in front of the steering wheel that relays all the sat-nav information. 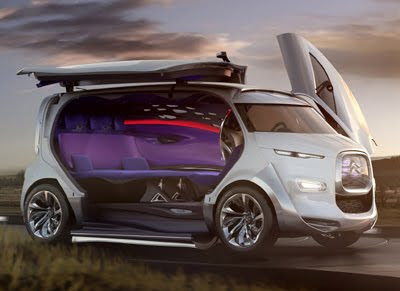 Tubik’s driving position is dominated by what the Citroen designers call the “cyclotron” - a module that groups the seat, pedal assembly, steering wheel and curved head-up display in one circular form. And with a cockpit this groovy you’ll never be short of designated drivers. 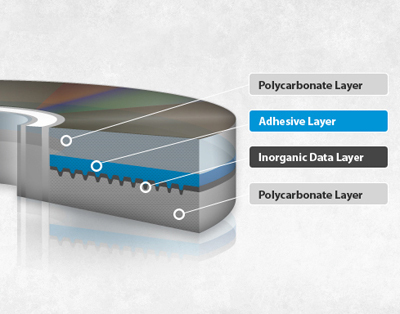 Current DVD technology uses organic dyes and low laser power to make marks on the data layer of a standard recordable DVD. Over time, these marks become unreadable because organic dyes degrade when exposed to minimal levels of light, heat, and humidity. Millenniata’s recording process utilizes higher temperatures and as much as 5 times more energy than any ordinary optical disc. This allows for permanent engraving on the M-DISC. These pits are not affected by temperature, humidity and sunlight. E. Charles Sykes at Tufts University in Boston and colleagues used asymmetric butyl methyl sulphide, a sulphur atom with a chain of four carbons on one side and a lone carbon atom on the other. 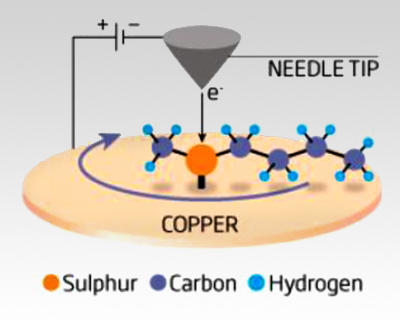 They anchored the molecule to a copper surface via the sulphur atom, producing a lopsided, horizontal "propeller" that is free to rotate about the vertical copper-sulphur bond (see diagram). Sykes hopes to harness his tiny motor to fight the friction that slows fluid flow in nano-sized tubes. A schoolgirl from Swindon has become the youngest person in Europe to be fitted with bionic fingers. Chloe Holmes, 15, lost her her fingers as a toddler when she suffered from septicaemia after contracting chickenpox. She wore a prosthetic hand until her family paid £38,000 for the hi-tech hand. Her father Pete Holmes said: "We'd go out as a family and people would stare for the wrong reasons - they stare now in amazement." 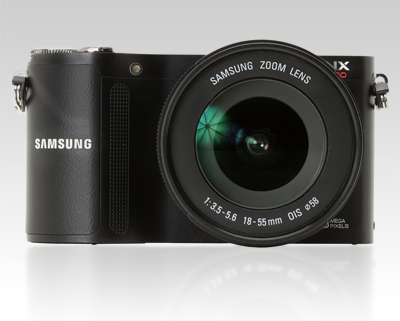 The Samsung NX200 is built around a completely new 20.3MP APS-C CMOS sensor and wrapped in the series' first all-metal body. The result is a handsome camera of similar size to Sony's NEX models. The latest sensor uses architecture that includes integrated analogue-to-digital conversion (an approach Sony has used for some time now) that is intended to reduce noise. Samsung has also re-worked the key elements that go in front of it - a redesigned color filter array to offer greater sensitivity and revised microlenses with smaller gaps between them to boost light capture, placed closer to the sensor so that they can better deal with the light reaching the edge of the sensor at very oblique angles from wide-angle lenses. The NX200 also features a lighter anti-aliasing filter and advanced moiré-suppression processing. For pre-production image samples, click here. 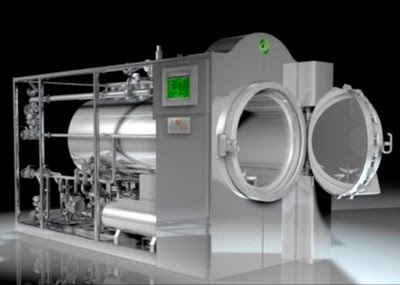 A Glasgow-based company has installed its first commercial "alkaline hydrolysis" unit at a Florida funeral home. The unit by Resomation Ltd is billed as a green alternative to cremation and works by dissolving the body in heated alkaline water. The makers claim the process produces a third less greenhouse gas than cremation, uses a seventh of the energy, and allows for the complete separation of dental amalgam for safe disposal. Mercury from amalgam vaporised in crematoria is blamed for up to 16% of UK airborne mercury emissions, and many UK crematoria are currently fitting mercury filtration systems to meet reduced emission targets.